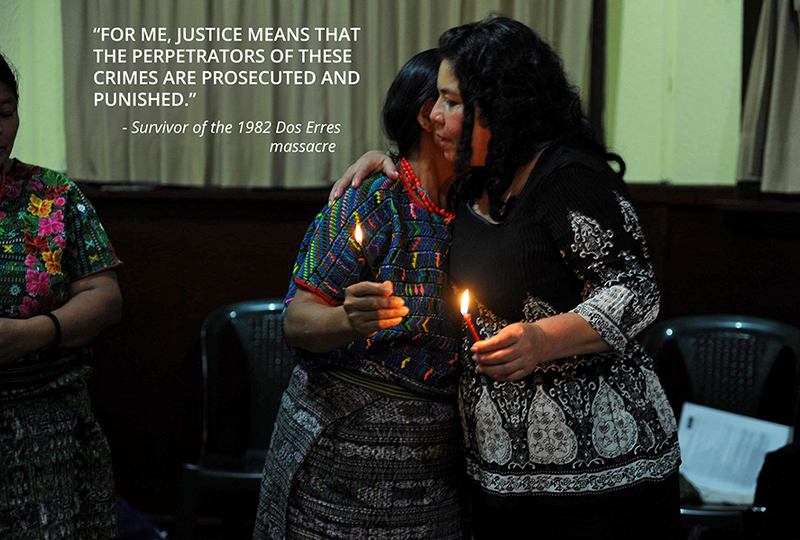 In February 2015, GHRC and MADRE — an international women’s human rights organization — held a workshop for women survivors of Guatemala’s 36-year-long internal armed conflict and of Colombia’s internal armed conflict, providing them with a platform to share their stories and experiences in seeking transitional justice. 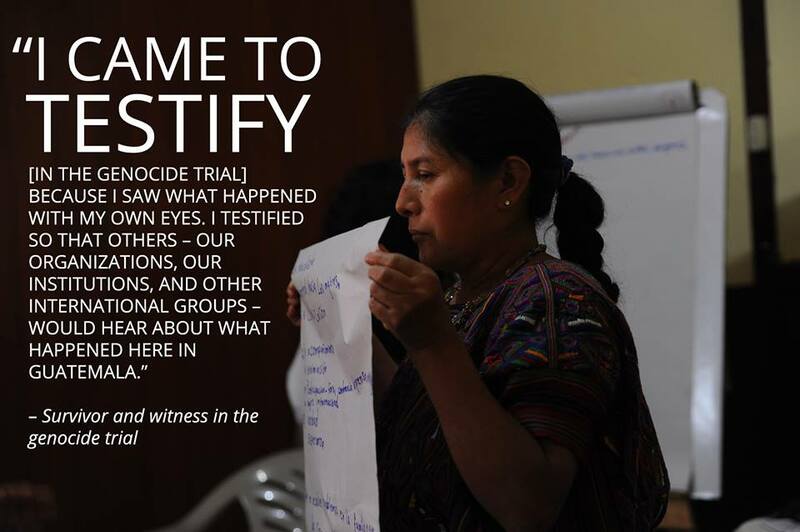 The workshop was the culmination of a project initiated by MADRE in February 2014 that sought to analyze the role of women in transitional justice processes in Guatemala and Colombia. Transitional justice is generally defined as a response to systematic or widespread violations of human rights; it seeks recognition for victims and promotes, peace, reconciliation, accountability, and democracy. MADRE and GHRC identified representatives from grassroots community and civil society groups to participate in a series of interactive workshops for women who seeking justice for past crimes in their home countries. In the first and last meetings, women participated separately in their home countries, and the second meeting involved a joint workshop for all participants in Bogotá, Colombia. One principal objective of the project was to create an opportunity for women survivors to share their stories as well as their strategies for combating impunity and injustice. The second principal objective of the project was to provide women participants with an informational tool kit for transitional justice and human rights advocacy, offering a range of information including explanations of historical memory and reparation programs to the international mechanisms that protect human rights. In the first meeting held in Guatemala, women came together from communities in Huehuetenango, Quiche, Baja Verapaz, Escuintla, Izabal and Guatemala City. The women leaders shared their experiences and exchanged ideas regarding best practices, and made the commitment to speak out about the violence committed against them. At the joint workshop in June 2014, attendees from Colombia and Guatemala participated in trainings on community organizing and shared reports on strategic planning, while also cultivating new relationships extending beyond national borders. The final in-country 2015 meetings allowed participants to review the initiatives they had previously created, and to further develop their plans as they moved forward in the pursuit of justice. The project seeks to create a much-needed bridge between formal justice processes and the transitional justice work being done by civil society groups. This information sharing helped foster support among participants, connect them with new tools, and boost their capacity to seek justice in whatever form they deem fit.